School’s out! Wondering where to bring your kids this June holidays? Check out our list of fun activities and recipes to try with junior! 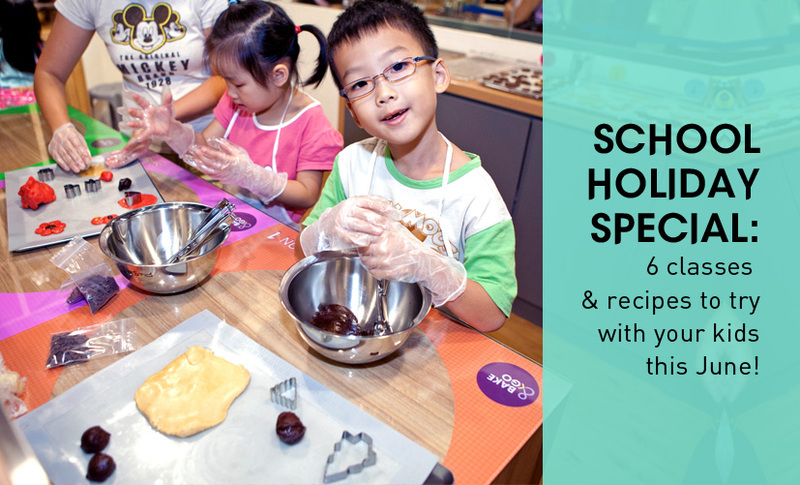 Put your young chefs to work at the ToTT Junior MasterChef Classes! In just two hours, junior will learn to cook or bake from scratch under the guidance of our professional ToTT Chef Instructors. Cook up a storm with them and bring home your very own handmade treats! 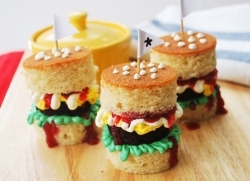 Classes include Burger Cupcakes, Oreo Chocolate Cupcakes, Artisan Cream Cheese Cake in Cups! 30 minutes is all you need for a bag of freshly made yummy cookies designed and baked by you. For $14.50nett, you can purchase a tin of cookie dough or a batch of cupcake batter. Standard toppings of chocolate chips and ground peanuts come with the price! Celebrating a birthday? 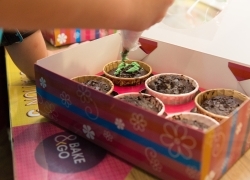 Go for the Bake&Go Birthday Party Package that includes goodie bags, drinks, and a party platter for the kids! *Minimum of 6pax required for both ala-carte and party packages. When it comes to baking, there’s a job for every set of hands in the kitchen — even the littlest ones. Test these recipes out during your next weekend at home with the whole family. 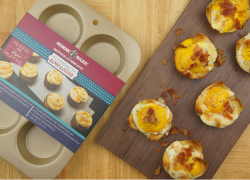 These delicious all-in-one breakfast muffins make for a great grab-and-go breakfast and require just one muffin tin to create perfect single-serving portions. 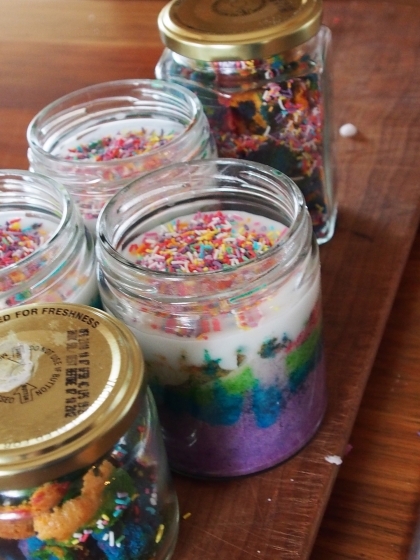 Make these cute Rainbow Cake in a Jar from scratch with Chef Jehanne’s recipe! The recipe is simple enough for kids to follow alongside with your guidance, and the end results speak for themselves! 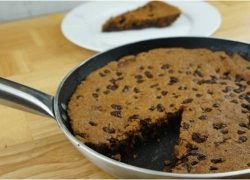 Buttery chocolate chip cookie dough, baked in a skillet, with a thick layer of Nutella hidden in the middle. Once baked, you’ll end up with a golden brown cookie with crisp edges, a slightly under cooked middle, and Nutella oozing everywhere! Task your kids with the job of mixing the ingredients (you can take over if they get tired!) and spreading the dough onto the skillet. Feel free to add in their favourite toppings – think M&Ms, mini marshmallows and more! Once baked, gather everyone and dig straight right into the skillet! This entry was posted in buying_guides, Tips & Tricks. Bookmark the permalink.